Best part for sure is the smiling faces that work in the leasing office. We were pleased to find that what we read online was exactly what we saw in person and the pricing was all the same as well. Nob Hill is awesome! Great maintenance, great office staff and fun events. They have 2 amazing pools and two tennis courts. They have a cares team as well. I have been experiencing top-notch service from Nob Hill Villas. Whenever I enter the Information Center, I am treated like a VIP. The staff is so genuinely friendly and professional, and my needs are swiftly handled. I love living at Nob Hill! The apartment is wonderful and the office and maintenance staff are all very nice and helpful! I would definitely recommend this complex! 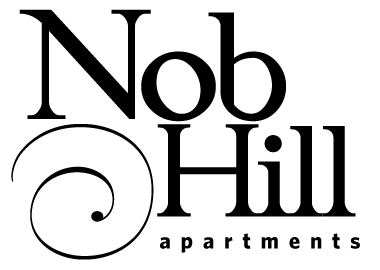 I have had a great experience at Nob Hill apartments. Everyone is so nice and I have had no problems with anything. I have loved living here so far! I love this community! Immaculate grounds maintained by delightful staff! Maintenance is super fast at all requests, and the leasing center hosts events for residents such as free waffle breakfasts and things like that! Love the community! We have enjoyed living in Nob Hill apartments. While it is not perfect (there are some cockroach issues, available parking, and new gross smelling air fresheners in the halls), the community has been great and the staff are very responsive. I feel very safe here and love how close it is to downtown. It has been a sweet place to call home. Excellent service so far, move in Day was easy enough really appreciative of the location to Nashville and the ability to rely on our leasing office for support! The community leasing office is very helpful and so charismatic. The community really has great appreciation for their tenants and their pets. Thanks to my wonderful apartment complex I have received This amazing point system! I love amazon so much and to actually earn point and get prizes is so totally awesome . Great place to live with your family. We are really enjoying our time here. Management is great and helpful all the time. Highly recommended. Great apartment with all new appliances, new plush carpet and a fabulous color scheme. Staff is very kind and helpful (special shout out to Daniela for all the help)! The apartment complex is very nice. As a student, we caught a discount so it's great that they help students a little bit with rent expenses. Daniela is the best! She helped me all the way in getting my apartment. Nob hill villas are really nice. I'm glad I moved here. Everyone is friendly. We just moved in to nob hill apartment homes and our neighbors have been very friendly and the maintainence staff has been very helpful. However I wish the pool stayed open another hour because I love to swim! I love it here, the people are so great. Every one in the office is wonderful, I love the pools and the playground area. The grills are convenient. Amazing. I've had a great experience so far with the community. And staff. They have truly made it possible for me to enjoy my stay at nob h.
I've had such a great experience with Nob Hill! It's been a long time since I've had to search for an apt and this community made it 10x easier and more pleasant! Their customer service, newly remodeled units, and central location won me over in a heartbeat! you guys are doing great! love the apartment. awesome job. i love it. no complaints ever. good job. wooohoo!!" beautiful. love it. awesome! !